We are at the Diva, Yuki (the Age one) is having a great time with her newfounds members of a girls only friend party like feminazis, Kyo girlfriend its talking about him, and receive some inputs of how to domain him and put him into submission (its not that she its just worried), the feminazis arrive at the hangar and find Kyo fixing his Gundamu, they ask him out, he is busy, they insist, he goes but not before Kouji and all the other boys arrive. Zeharth its talking with Euzecanto, like some drugged Trump talking about how Eden should happen, and how its only him that can make it happen, its now or never! no one will stand on his way ever etc etc. Kyo always the ladiesman know the place that ladies like to hang out and take them there, and its a Arcade of course, there a fighting game, and we can see Rand from SRWZ and Hacken from Endless frontier being selected as fighters(yeah i noticed Banpresto you can hide it from me), Yuuta is having the time of his life, Kyo its a good player of the thing, they finish their gaming section and Kyo boss over all with his gaming skills (Ryusei found a rival? ), them we arrive at a park, but its obvious that ladies don't like parks, Kouji its the best, but them of course we can't have a comedy map so we are attacked by a weirdo named Godom, he is crazy and wants to destroy the gundam and bla bla bla. at another place the Rajinoh kids are on a classroom but they don't stay there a lot since kids don't watch boring classes on animes, so they go do the more obvious thing fight giant robots in a the city. we are joined by Rajinoh, and we can finally play with Age 3. 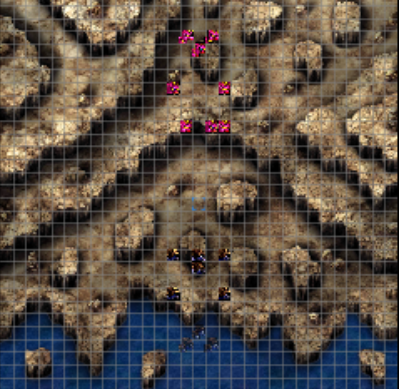 The map begins with Godom on the botom of the map, Shanalua talks about how Kyo should try to take care, and Godom back talks to Kyo challenging him, there's somewhat 12 or so enemy units, there's a river on the middle of the map, but you can cross bridges with the units that can't fly that's not a problem. on turn 2, 13 Rajinoh enemies will pop out they are annoying since they can reduce your morale if you are hit by them, so send some 2 or 4 units there to take care of it, attacking Godom with Kyo triggers a chat, i don't know if its something, but i decided to explode him with Kyo i've been exploding all the bosses with theirs series main character to see if something happens. on the middle of the batter Rajinoh its hit numerous times, and fall on a trap, Godom help the mechanical monsters as well shooting in the city, and he prepare the last shoot but Kyo take the shoot for Rajinoh, AGE3 its damaged and Flit send out new equip we receive the Age Fortress that its a pack but its just an attack on the game. after this Godom goes out we finish the monsters and map its over. i decided to pair Youta with Yuuki, first because she heals, its not really good to pair the Valkyries with anything that don't fly, so other Valkyries will be, also the Aesties are bind and have to stay near the Nadesico, so i don't fell that its a good thing to separate them a lot, paired them together as well, hopefully i will get to see the new 2 frames that we won in action on the next map. and i toke my time to give the pilots some skills as well, Yuuki didn't had infighter not prevail that's not good for someone with a super robot ._. lets fix dat. now we are ready to blow some more stuff. On the Cafeteria Akito tells us about his adventures on space where he meets the Neo Zeon and the ever mysterious Unicorn Gundam, he also tells us that he had help of Celestial Being while at it, the guys begin talking about the differences about the Unicorn Gundam and Celestial being Gundams (of course this topic was raised by Kyo who else?) Izumi explains about the NTD system, and while is there, Aisha arrive to save us from boredom. The commander of the little tanks survive and menage to hit a enemy unit! but shortly after he dies a horrible death, aliens more aliens, and we arrive late like ever, time to deploy, no one know who are those units, but nevertheless enemies of the earth are our enemies since errr... we are Earth Federation or something + Mazinger labs + GGG, lots of stuff is happening and we have a salary to earn. oh happens that they are Dunbine things! 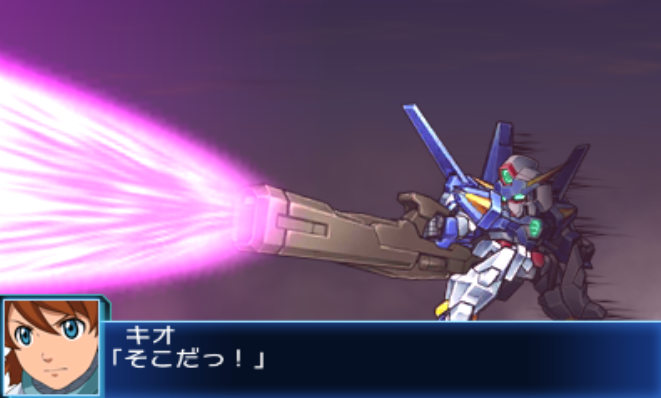 how many years have been since Dunbine has been on a SRW? never saw in my life but i believe that its something related to Yuuki series well they have the same theme and his mecha seems like a Mazinger somehow just more err...wicked also the pilot has two personalities and you can swap between them at will they have different skills and attacks, its a pretty cleaver gimmekick wonder if Alelujah/Halelujah will be like this. Yuuki know the guy the thing is actually a Mazinger indeed, he is with her and he attacks the main enemy ship driving it away, sensing the danger and murder instinct of the enemy, the Black Knight send his king away and will fight himself, another sub boss deploys with more troops. Edit: continuing, well the aura battles are rather weak enemies they are easy to hit, and have horrible status and durability however the aura giri attack its troublesome since it ignore size and it hurt the giant units that can't dodge a lot, i used Aisha snipe,Leon and Age-3 to get rid of them, Shou also can take care of himself he is a pretty solid deploy i figure, Marvel status are low, but her seishins seems usable she is probably not end game material. after you take care of the aura battlers its time to battle the black knight, if he fight Shou a conversation will trigger, so i decided to take care of him with Shou, a efficient way to take him down is using Ryouko,Izuki and Hiraku combo attack, its you strongest attack on the moment and does a lot of damage he also have trouble hitting them. after this he retreats, but Shou' machine is also not very good the Bilbine(i'm not sure if this is the right name) stop working, they take it for repairs and it will take a lot of time apparently since a important part its broken, Shou and Marvel talk to the other crewmenbers alongside them of course Kouji and Kyo, who find the faries funny. there's not much time for talk Guy arrives telling Yuuki that GGG its calling them (remember we work for them), and a emergency happened. we now change scenes to a ocean where we can see someone taking a robot from the ocean floor. Why is it a bad thing? The Valks don't give two shits about their partner's ability to fly. And aside from Luca it's better to have them in B mode anyway if you're not moving. Ha ha ha hell no that guy didn't die. That guy managed to live through all three Eldoran series, and was still JSDF chief for what little of Daiteioh we know of. He's immortal. Before BX it was like two years for Dunbine, which was in UX and OE. It has since been in X-O. It is Mazinger related, Mazinkaiser SKL. And the machine is dual piloted, there's two guys in the cockpit, it's not one guy with multiple personalities, otherwise it'd have one spirit pool. oh i don't have Lucca yet, but yeah i usually use them on mecha mode when possible, some of them don't have that spetacular post move attacks. 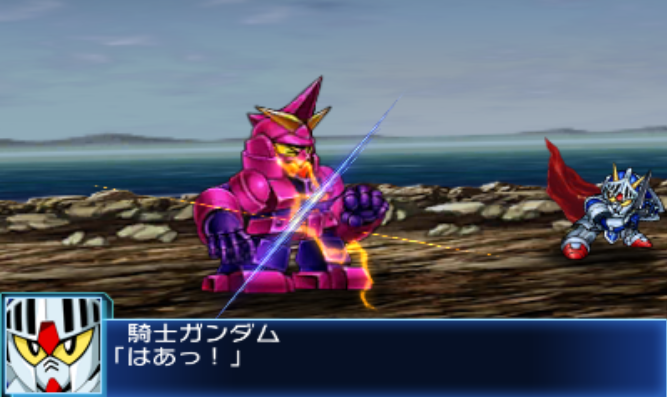 the boy that was searching something on the ocean was adrift to a beach, he is unconscious but its found by a SD Gundam, this one its called "Knight Gundam" for those of you that don't know myself included, apparently those guys have a manga or something its probably a comedy thing? 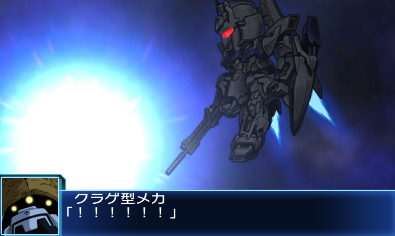 i don't know i know that i saw the Knight Gundam on Gundam Musou 2, but back to the game. he ask who that boy is, he tell the kid that its dangerous, and numerous others SD gundams attack the place, and we are now in a Gashapon wars or something. 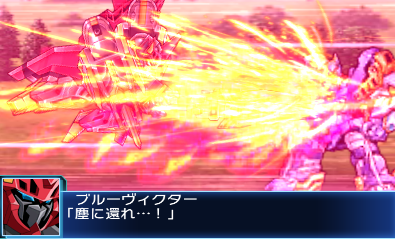 and the Knight Gundam has Mp instead of energy, also his sprite have breathing animation when is still, its pretty well done. might be smart to cast a seishin and move a little away and wait they to hit themselves a little since i can restore my own hp as the turn passes. the stage is pretty fun, just move the Knight gundam to some place that have terrain advantage search on the rocks edge, the psycho pink gundams are really strong so dodge their attacks, on turn 3 another the SD gundam villain order his minions to take the boy with him, he asks for help the Knight gundam cannot really fight all the enemies alone and is overwhelmed, when a blue robot appears and destroy one of the enemies, the robot name is "Gorg" and the pilot its a boy named Yuu. Yuu is surprised to see your team here, Knight Gundam is really on edge the characters rush to help them, after the battle Yuu tries to retreat the battlefield but its stooped by Falsaber and Guy, they have explanations to do after all. and about Mazinger SKL, they both where introduced on the last map i forgot about it, remember how Yuuki told us that she had a squad? well it turned out that its was not only girls, those two are part of it one of them is called Ryou and the other Ken, they are other members as well as she tells us that they are all surprising. Don't charge ahead in this mission. Knight Gundam (he's from a series of four OVAs and a card game, all the episodes are subbed and on YouTube so it's an easy watch) can't handle all the Psycho/Mud Golems, and you will soon get a reinforcement who can basically solo this part of the stage. Rhide arrived with Mineva not on the right island, he was going for his home, but GPS crap and etc, stuff happens, she tries to convince him to contact Neal Argama(its that the name?) but Rhide being Rhide, had enough Banana and can find his way alone, this is before e mysterious blonde woman appear and lock a weapon on this face (she is probably a ninja) she gets info out of them, of who they are, and what they are doing here, she don't seems evil just fishy extremely fishy. Yurika is with Flit on the forest, while they are trying to find their way Yuuki its pretty busy with the scenery, apparently this island is also under GAIL control, the GAIL guys (that are pretty cartoonish and funny looking drawed characters) are maintaining Alelujah and Soma, jailed and yeah they're together, so they don't get bored. they are some sort of armed workers, have almost 10k hp but low defense and its weapons are not that strong, the forest area is good for the battle since it help us with dodge and defense. On turn 2 Rhyde talks with Audrey and she encourages him to goes and help, Rhyde that its lost (apparently) has not many reasons to turn the offer off, he present himself as a fed pilot and its recognized by GGG people and Flit by being true a fed pilot, he help us on this battle. 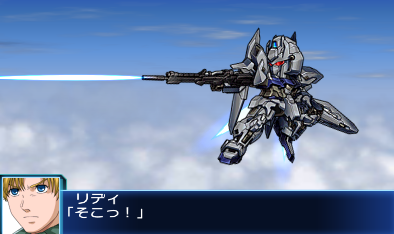 That's how the Delta Plus looks on BX, he is a pretty decent unit has 4 weapons, its a pretty good unit really good evasion and attack, also Rhide does have a barrier break attack, and his beam saber attack can combo, its a lot stronger on this game than on the other ones. GAIL deploy far more troops, but are more of the same, helicopters, tanks and giant workers, Flit,Yurika and Guy are still on the subterrain base on a cell (they got them on the forest walk and stuff) the cell opens with all the shaking, Ruri warns us that RIP shields. 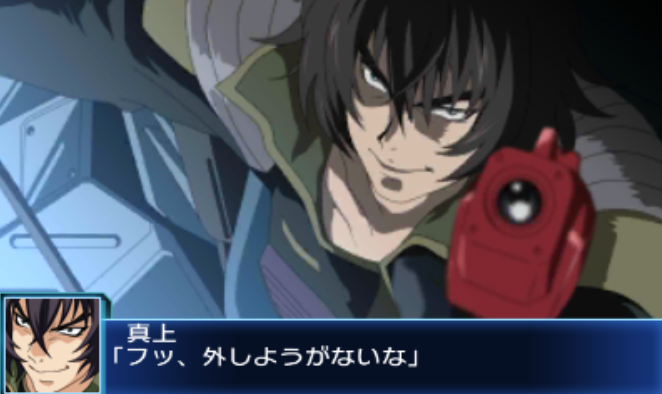 suddenly Gorg appears again, outside the forest this time, he also followed the creatures i assume, however Falsaber its far too damaged to proceed, Alelujah and Soma escape on a Tank and destroy some enemies tanks they bring Youta with them also brought Yuu with them this time he even has a theme. so time to blow things up again. GAIL troops are not strong, you can deal with them whatever method you use, they are just using Helicopters and tanks, the monsters on the other side provide more of a challenge but the hint its just not let you troops be sandwiched on the map, Delta Plus is probably very near those monsters, Rhide can hold his own quite well i used Alisha and Leon and the monsters where story on no time. the Tank and boss GAIL guys explode as we destroy them RIP for them. 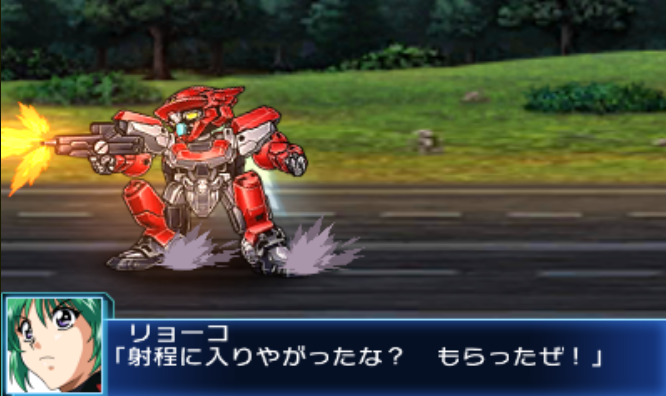 as the battle ends Rhide ask for directions, Flit don't really trust him or his strange machine, he says that he is with someone important, Ruri ask for everyone attention something is coming and a huge blast interrupt us, as strange red mecha shows us. 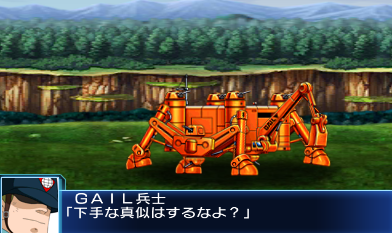 Alisha ask if its from GAIL,Knight Gundam says is sentient, he attacks Fallsaber because yes of course. GAIL guys turn out alive, they escaped the island on time, also we meet for the first time some of the unicorn villains that are after Mineva, nothing extraordinary, saving for Youta that survived the blast and its rescued after. (03-12-2017, 03:54 AM)Mattman324 Wrote: It's Riddhe, not Rhyde. moreover I'm sorry if it bugs you. Mai, please continue with your playthrough. Who cares what the names are, I think your blog playthrough is fun and interesting. edit: I forgot the magic word.